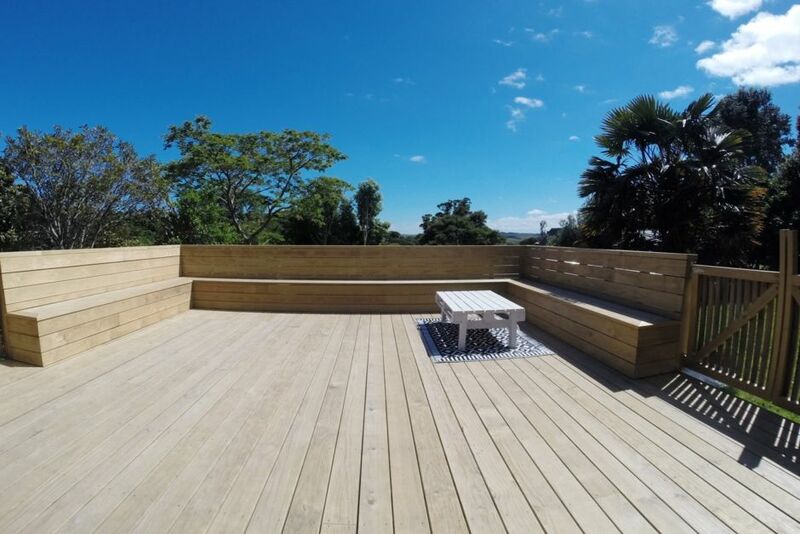 This 3 bedroom house is full of sunshine with a open plan kitchen, living and dining area and a large North facing deck which is perfect for entertaining and enjoying bbqs or just relaxing with a book and soaking up the sun. House is child friendly complete with child proof locks on deck gates or make use of the large lawn. Plenty parking on the property and room for boats/trailers. Bays and Surfclub are only minutes away plus close access to the beach walking tracks. Rockit cafe only a few minutes drive away and Raglan town 7 minutes. Ideally located between the main surf and swim beaches and a short drive to the main street/town. Ideally located between the main surf and swim beaches and a short drive to the main street/town. Child friendly home that suited our family two adults and two children (5 and 1) perfectly. Cot, high chair and toys available. Child proofing allowed us to be comfortable that our 1 year old could safely move about freely. Overall great stay and Laura was a pleasure to deal with. Thanks! Lovely little family home perfect if you have toddlers, a fireplace, toys, plenty of parking, close to Raglan town. Well decorated, Laura obviously takes pride in her family home. My family and I enjoyed a lovely stay at this property. My family and I enjoyed a lovely stay at this property. The house was very comfortable, sunny and private. Laura's warmth and helpful emails/texts made the house feel very welcoming. Thanks Laura!